A NEW CAN'T-MISS ONGOING SERIES! From acclaimed writer Christos Gage (Netflix's Daredevil) and superstar artist Tomas Giorello (X-O MANOWAR), the United Kingdom's most dreaded intelligence operative delves into the cold, calculating world of espionage and international intrigue! For nearly a century, MI-6, the most elite branch of Britain's clandestine intelligence service, has honed a ruthlessly effective, top-secret division - THE NINJA PROGRAMME - into one of its nation's most finely wielded weapons. Tasked as the first and last line of defense for queen and country, this small shadow army of agents and assassins has produced a succession of notable assets, including NINJA-A, the Queen's silent weapon of World War I; NINJA-E, the globetrotting secret agent that pulled the Cold War back from the brink of armageddon; and, most recently, NINJA-K, aka Colin King, a brash but fearless instrument of lethality that has saved the world from madmen and terror at every turn. 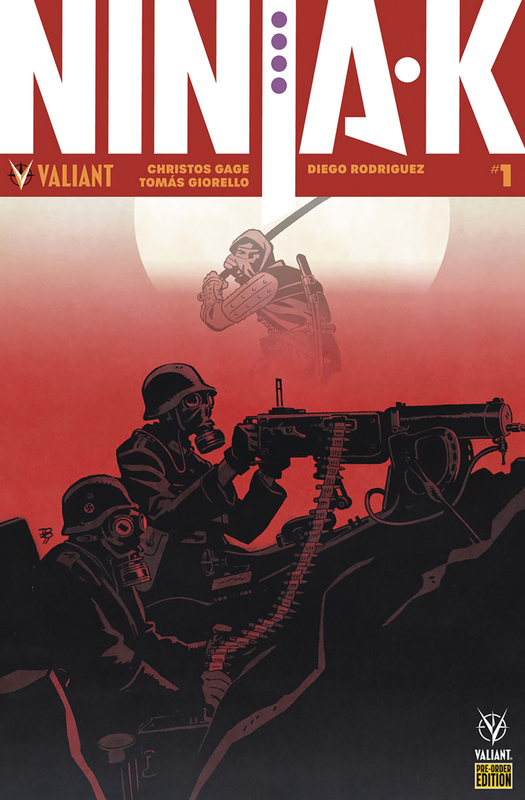 But now?an unknown enemy is hunting and killing members of THE NINJA PROGRAMME one by one - and NINJAK is next on the list.